Thursday’s nuclear framework deal changes nothing. It’s unclear what Washington will agree on during discussions toward trying to finalize agreement terms by June 30. John Kerry runs US foreign policy. He’s committed to a special US/Israeli relationship. His Senate pro-Israel voting record was second to none. He was a leading voice for strengthening Israel’s security throughout his Senate tenure. He lied saying it compromised the security of Israel, the region, America and elsewhere. Given Iran’s many concessions to reach a preliminary framework deal, it’s unclear precisely to what degree he eased his former hardline position. He, Obama and virtually the entire Congress strongly support Israel. 3. IAEA inspectors “must have timely access to any suspect location (including restricted military sites)” to prevent (nonexistent) Iranian cheating. AIPAC and lunatics infesting Washington irresponsibly call Tehran a regional threat – deal or no deal. They want war if objectives aren’t reached other ways. Two proposed Senate bills are hardline. Obama said he’ll veto both bills. Reports indicate they’re close to veto-proof support. “If a final agreement is reached,” Congress should have final up or down say. Netanyahu and likeminded Israeli lunatics fabricate threats they nonsensically claim jeopardize Israel’s survival. Separately, Netanyahu told Obama framework terms agreed on threaten Israel’s survival. 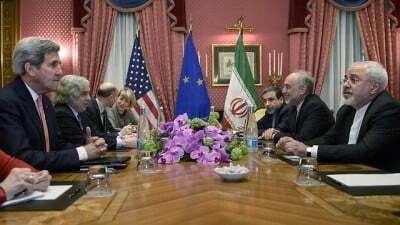 Fact: Iranian nuclear program framework terms agreed on threaten no one – now or any time ahead. Fact: Israel’s illegal and formidable nuclear, chemical and biological arsenals threaten world peace. Fact: Iran’s infrastructure and operations fully comply with Nuclear Non-Proliferation Treaty (NPT) provisions. Fact: Israel refuses to sign NPT. It’s a known nuclear outlaw. Fact: No Iranian “aggression” or “terror” exists in the region or elsewhere. Fact: Iran deplores nuclear weapons. It’s the region’s leading proponent for abolishing them altogether. Whether they’ll wage war on Iran if their objectives aren’t achieved other ways remains to be seen. Longstanding anti-Iranian sentiment suggests no fundamental US policy change ahead – deal or no deal.